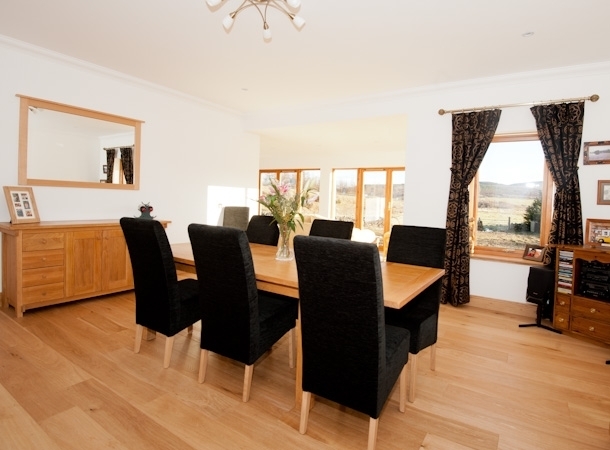 Glendalloch House, Daviot, Inverness is set in the midst of the Scottish Highlands offering the discerning tourist both luxurious accommodation and spectacular views of the surrounding countryside and hills. This superior 5 Star accommodation has 3 individually styled bedrooms; 2 double bedrooms each with a king size bed and 1 twin room with 2 double beds. 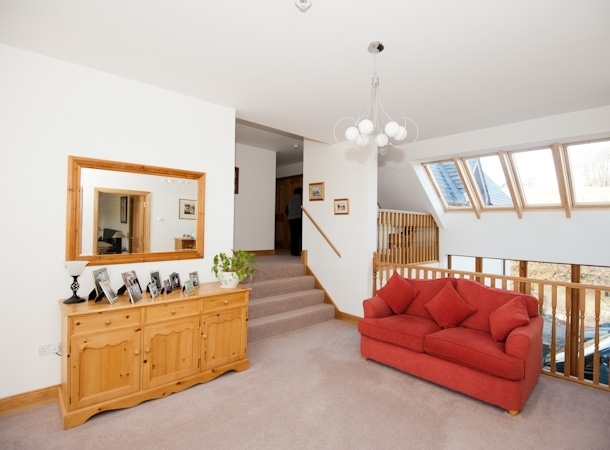 All 3 bedrooms have views of the surrounding countryside, deluxe en-suite shower facilities, WiFi, hospitality trays, flat screen TV, hairdryer and radio alarm clock. Situated off the main A9 route, between Inverness and Aviemore, Glendalloch House is the ideal base for exploring the Highlands of Scotland. Loch Ness, Culloden Battlefield, Fort George and Cawdor Castle are just some of the many tourist attractions within easy access. The Black Isle, Nairn and the Cairngorm National Park are all just a short distance by car. 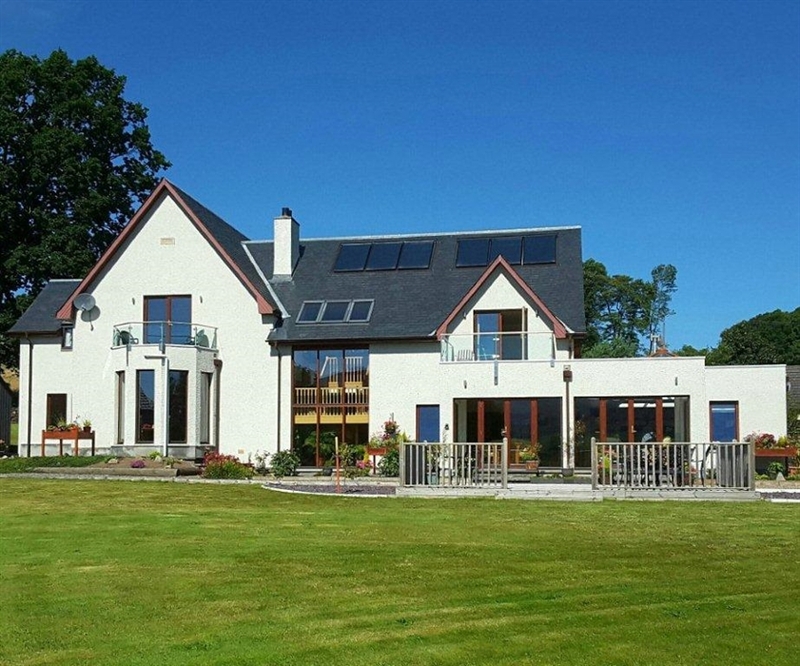 There are numerous first-class golf clubs in the area, including Castle Stuart Golf Links, a championship links course, Royal Dornoch, Loch Ness & Rosemarkie all of which are within a short drive from Glendalloch House. Inverness City, the capital of the Highlands, is just 6 miles from Glendalloch House and boasts a diversity of bars and restaurants offering both gastro pub food or a fine dining experience. Glendalloch House is strictly a no smoking establishment. Our B&B prices are £40 per person per night for 2 people sharing a double or twin room. Single occupancy of double or twin room is £50.00 per night.